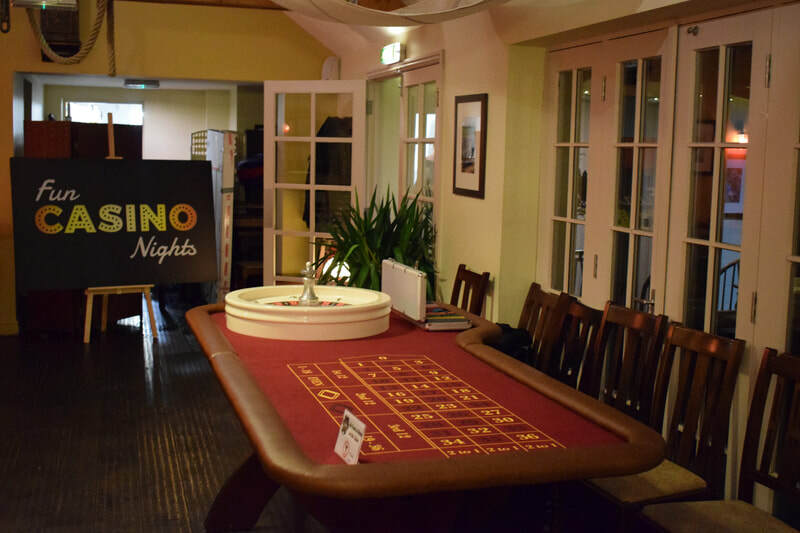 The Roulette Table makes up the main focus of any Casino. 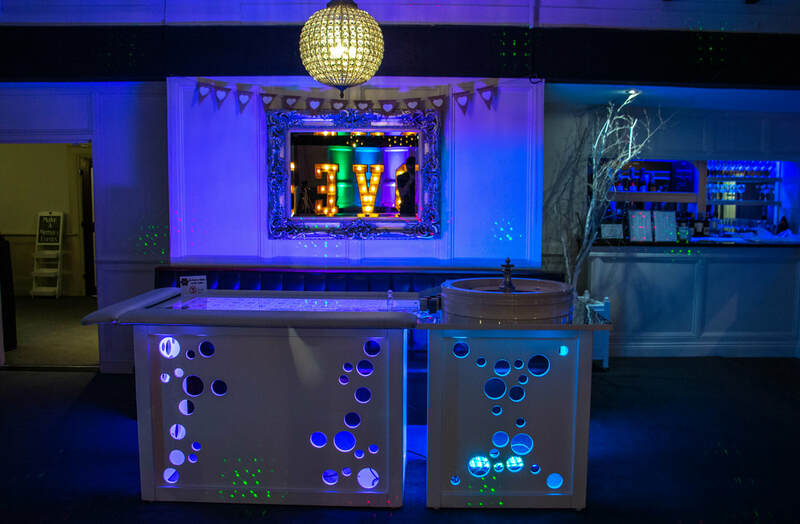 Originating in 18th Century France it is now seen in Casinos throughout the World. Its simplicity and large odds make this a favourite with beginners and the most tactical of players. 2 x White Roulette Tables in a winged design. This unique & elegant design has two illuminated betting surfaces playing off one central Roulette wheel. 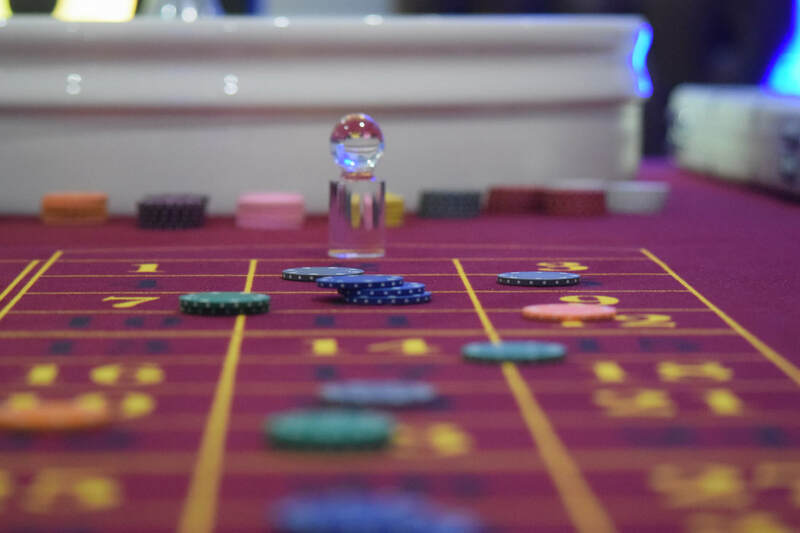 If starting out on the roulette table, players are given specific Roulette Chips, all of the same colour and all worth $10 each. 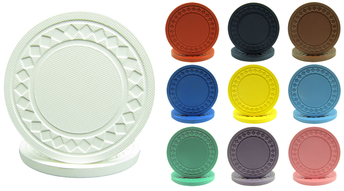 Other players are given a set of different colour Roulette Chips, again all worth $10 each. 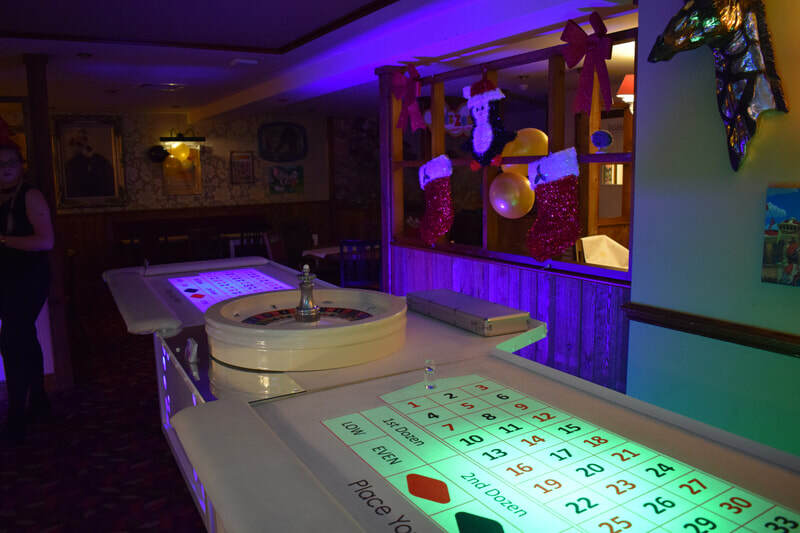 This to make life easier for the Croupier and to distinguish each persons bet on the Roulette Table as with many people playing, things can get confusing! 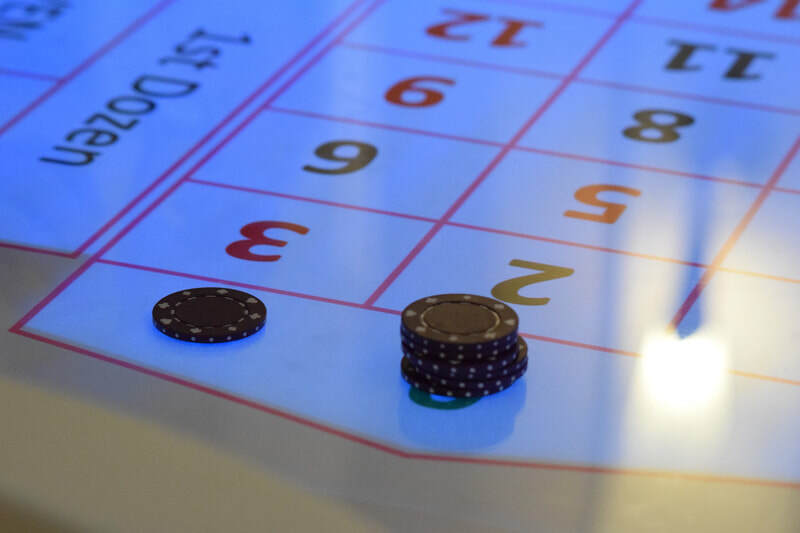 Players are permitted to place bets in various boxes, so use of different colours is key. 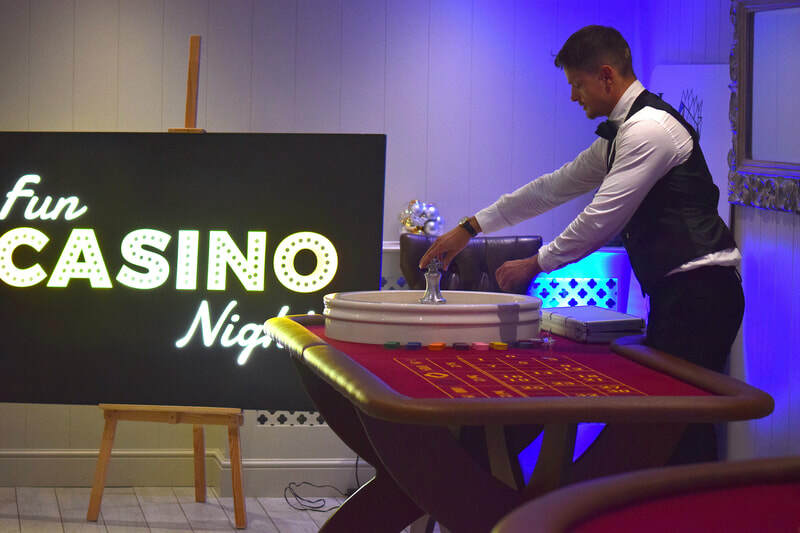 Players are betting on the outcome of the Spinning Roulette Wheel. 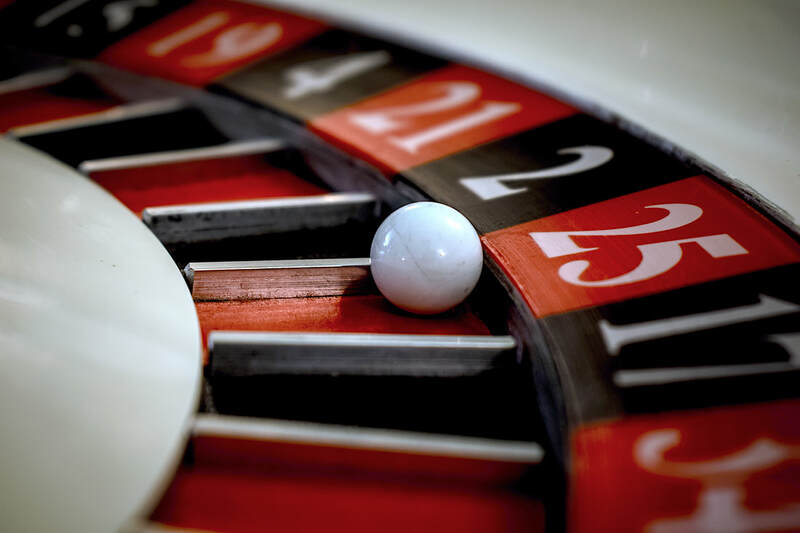 To determine the winning number and colour, a croupier spins a wheel in one direction, then spins a ball in the opposite direction around a tilted circular track running around the circumference of the wheel. 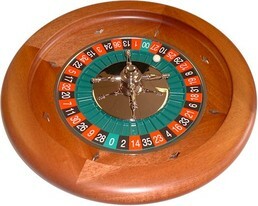 The ball eventually loses momentum and falls on to the wheel and into one of 37 (in French/English roulette) coloured and numbered pockets on the wheel. Players have the options of placing their bets on different squares. Like all of our Casino games the minimum bet is one Chip ($10). Depending on how you bet the odds of winning change and so does the payout. 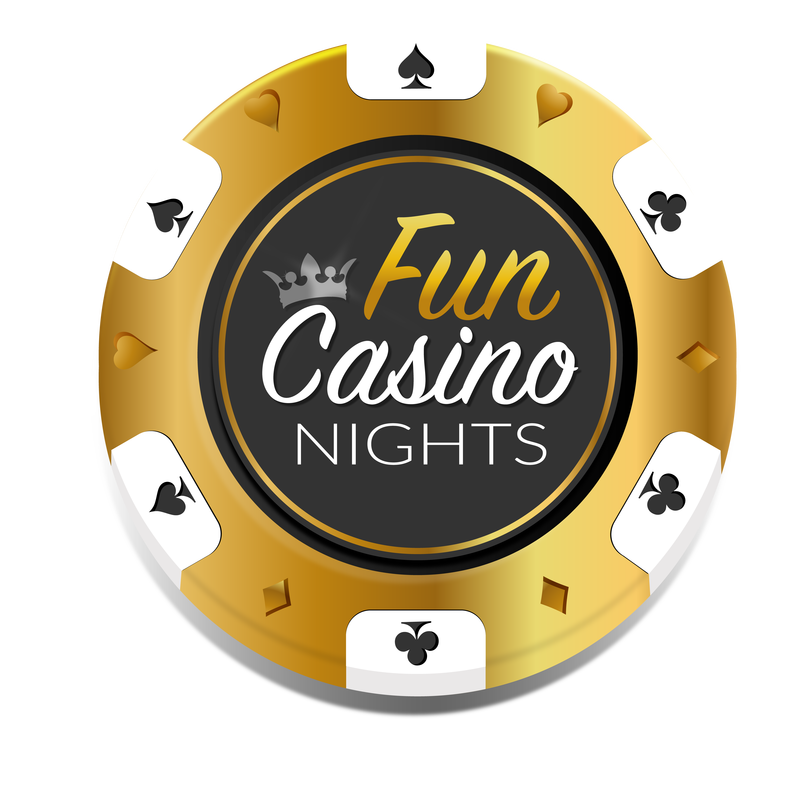 As this is FUN Casino we offer slightly better odds than a typical Casino. This is to encourage play from all participants. A bet on the outside dozen (or blocks) covering the 1st, 2nd, or 3rd dozen numbers, pays 2 to 1. A bet on one of the three columns, that include all the numbers in that column, pays 2 to 1. Finally a bet on the outside even money bets, Red or Black, Odd or Even, High (19-36) or Low (1-18), pays 1 to 1. So for example, if a player were to play place $20 of chips on Square 31, and $50 of chips on the Black Square, and the ball lands in Black 31, then the Croupier would pay out ($20x40 = $800) for the correct bet of Square 31, and ($50x1 = $50) for the correct choice of Black. Of course as a winning bet the players also receives back their original stake. So in total they would get back ($800+$20+$50+$50 = $920). 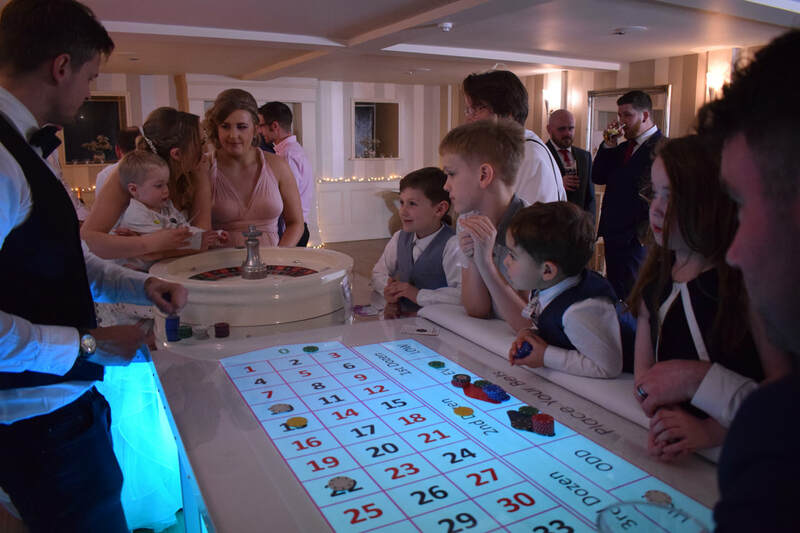 Watch in amazement as the ripple of excitement goes around the table as the ball bounces between numbers and finally lands in a numbered slot, providing elation to those lucky Winners. 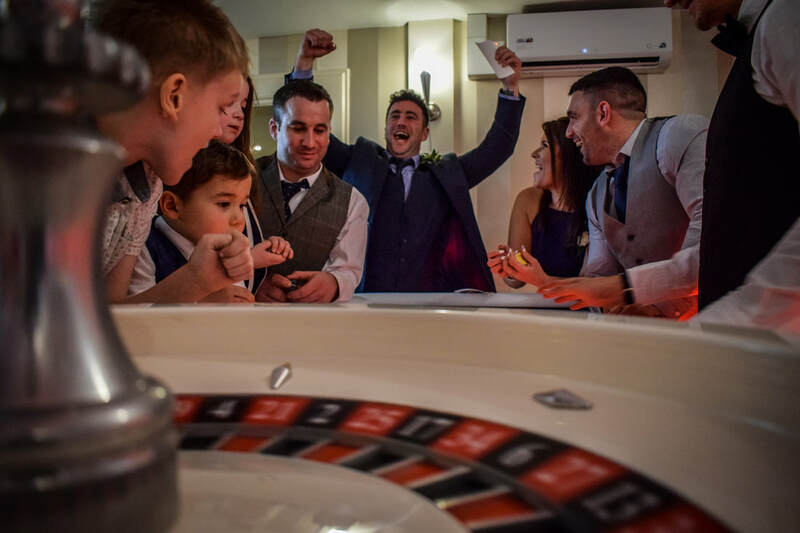 ​So what are you waiting for...speak to a member of staff today and have our unique & stylish Roulette Tables at your dream event!